Did you know that the US EPA found that indoor air pollutants posed a greater risk to your health than ever-soaring outdoor pollution levels? Generally, when you and I think of pollution we think of car emissions or fossil fuels; we do not consider things such as wall paint or furniture. Therefore, it might come as a surprise to you that even something as seemingly harmless as air fresheners can have an adverse effect on your reproductive developments. It is also worth noting that according to the World Health Organization, a staggering 4.3 million people die every year due to prolonged exposure to household air pollution. The reason for these posed health risks are Volatile Organic Compounds. This a term used by researchers to describe organic chemicals that have a low boiling point. This means that formaldehyde – with a boiling point of -19 degrees evaporates from paint; now, though formaldehyde may not have an immediate impact on health, it has long-term adverse effects. Using heating equipment such as heaters, fireplaces, and wood stoves. Insufficient ventilation combined with the use of such heating equipment causes indoor pollution. Gas stoves produce carbon monoxide and nitrogen. Wood-pressed products and home furniture. Newly made products made of wood like pieces of furniture can emit formaldehyde. 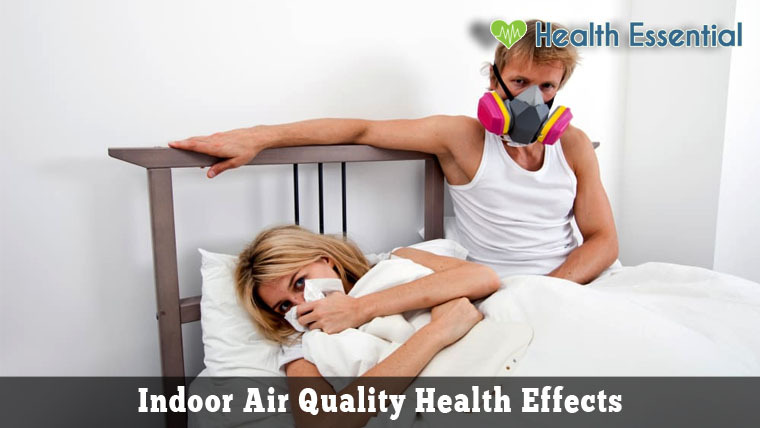 Moreover, if the ventilation is poor in the room, indoor pollution is increased. Paints. Oil paints have been known to emit chemical fumes. Other paint based products such as aerosol spray paints and adhesive removers also cause indoor pollution. Glues, adhesives, and frequently used rubber cement. Adhesives essentially emit Formaldehyde which contributes to indoor pollution. Moreover, VOCs such as acetone emissions can further spoil the quality of indoor air. 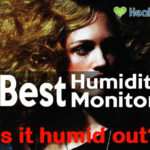 Humid environment. Molds and bacteria thrive in humid environments and can cause indoor air pollution. Tobacco smoke. Lack of ventilation combined with extremely harmful tobacco smoke causes the quality of air in your home to deteriorate. Before we get into what the solutions are, it is important to discuss and familiarize yourself with the most common types of indoor air pollutants. Produced when there is incomplete combustion of fossil fuels, CO is an invisible gas that has an undetectable odor. CO stops the body from utilizing the oxygen it needs to function. Risk factor: CO can cause dizziness, nausea, increased heart rate, confusion, and headaches. Exposure to high concentrations of CO can cause death in some cases. A naturally soft and deadly toxic substance, lead was primarily used in house paints until it was banned. The particles of lead that are airborne can drastically lower the quality of indoor air. Risk factor: Exposure can cause long –term impact such as brain damage. A type of fungus, mold can also grow indoors. Where some types of molds are harmless, the rest can cause allergies in people. Risk factor: Exposure can cause nasal stiffness, headaches, allergies, and skin irritation. With a strong odor, this pollutant is colorless and flammable. Exposure to Formaldehyde is caused when it is emitted into the air. Found in pesticides and everyday products such as glue and paper products. Risk Factor: Formaldehyde can cause irritation to the skin, eyes, and nose in addition to types of cancer. With an odor that is sweet, benzene is highly flammable. It is found in adhesives, pesticides, and detergents. Risk Factor: This pollutant can cause headaches, dizziness, drowsiness, irregular heartbeat, tremors and can be fatal at high levels. This harmful pollutant is disguised with a sweet smell. It is non-flammable, but that does not mean it is safe! Commonly found in pesticides and chemical cleaners, Trichloroethylene emissions can poison the air. Risk factor: Exposure can cause numbing, depression, and liver damage in extreme cases. 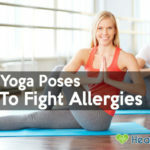 Allergies: Exposure to certain VOCs can cause allergies in you and your kids. More often than not, we do not understand the reason behind a sudden allergy outbreak. ENT irritation: Indoor air toxins may cause irritation and discomfort in the throat and nose. Moreover, they may also cause a sort of burning sensation in eyes. Nausea/ Dizziness: Prolonged exposure to some of the above mentioned indoor air pollutants can not only cause loss of coordination but also lead to dizziness and nausea. Headaches: How many times had you ended up with a headache due to staying in a newly painted room for too long? The toxins emitted are inhaled by us and cause headaches. This is a pressing issue – you, I, and our families are at risk with the ever growing levels of toxins inside our homes and work places. According to the Clean Air Act by the US EPA, there are no set regulations for the quality of indoor air but it essential to understand that the standards have been laid out by an organization such as the WHO. The World Health Organization has compiled a list of the indoor air pollutants and the level of recommended exposure. The rule of thumb is to keep the exposure to such a minimum that there are neither any risks of long-term health problems nor any immediate adverse effects such as dizziness and loss of coordination. How to Clean The Air in Your Home Naturally? 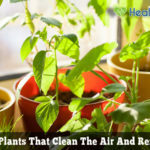 15 Best Indoor Plants for Air Purification. HEPA Air Purifier Buying Guide.